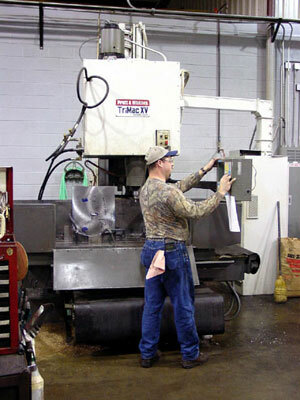 Examples CNC Retrofits for NC or CNC milling machines, Lathes and Routers. What machines are good machines to retrofit? Almost any existing NC or CNC machine is a good candidate for a CENTROID CNC retrofit. You do however want to evaluate the machines mechanical condition. It is a good idea to start with a machine that is in good mechanical operating condition. There are many machines that are of a good design and make great candidates for a CENTROID CNC retrofit. Below are a few examples. 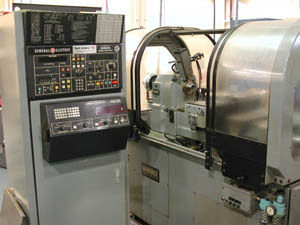 Some prime examples of great candidate machines for a Centroid CNC retrofit are: The Bridgeport NC Boss Series I and II , Bridgeport Machining centers the 308's and 412's, Wells index NC knee mills, Shizuoka NC knee mills, Hardinge CNC Lathes, Mori Seiki turning centers, Ikegai lathes and turning centers, Pratt and Whitney NC Bed mills, Brown and Sharp bed mills, Fadal machining centers, Haas machines, YCI CNC knee mills, South Bend Lathes (ballscrew equipped), Crusader Lathes, any Bandit or Shadow equipped machine, Partner knee mills, Hurco knee and bed mills, Ex-cell-o and almost any Anilam, Dynapath or FANUC equipped machine along with many others, call or email for an evaluation of your specific machine. We have worked with many machines over the years and know the ones that are good choices for a retrofit and the ones to stay away from. You can gain from our experience. Here is an old Boss 10 just waiting to be retrofitted! It is most economical to retrofit a machine that is currently a NC or CNC because of the fact that the ballscrews and axis motor mounts are already in place. These two machines are great examples, both the Bridgeport Boss 10 and the Hardinge CHNC shown here on the left are very well built machines the mechanical condition of both is excellent, BUT the controls are dead! and they were never that good to being with. For much less than the cost of buying a new machine with equivalent quality and rigidity you can install a CENTROID CNC Retrofit kit that will replace all of the old outdated electronics and put that machine back to work! Retrofit requirements for any type of NC or CNC machine whether it is a lathe, knee mill, bed mill, machining center or router/drill table are the same. They must have a 1.) A way system, could be linear or box ways and 2.) A drive system designed for a servo/stepper axis motors. This is typically a ballscrew on metal working machinery and this could be rack and pinion or belt drive for router tables and drill machines. Axis motors can be direct drive or belted. To evaluate a machine for a CNC retrofit check these vital mechanical systems. 1.) Determine if the ways are in good operational conditions, not rusted and not worn away. Make sure the axes slide freely and look for signs of improper lubrication during the life of the machine. 2.) Determine if the Ballscrew(s) rotate freely and smoothly, inspect the screw races for pitting or scoring. Often rough operation of an axis caused by a failing or faulty support bearing is blamed on the ballscrew. If the machine has excessive backlash or the axis feels rough when rotating the ballscrew, check the support bearings, 90% of the time that is where the problem is coming from. (also, this is a much less expensive repair and is easy to perform). 3.) Lastly check the operation of the spindle motor and the sound of the spindle bearings while running. (If the existing control is not operational, which is often the case, you can have your electrician directly connect the spindle motor to a disconnect/motor starter box to run or an external small spindle inverter if the machine was originally inverter equipped. ). If the spindle motor is faulty, most spindle motors can easily be repaired by any competent AC motor shop or they can be replaced at a reasonable cost. If this is the case, this is a good time to upgrade the spindle motor anyway. If taken care of, spindle bearings will last for many years of use, however if your machine rattles excessively it is a good idea to have the spindle bearings replaced before the retrofit. 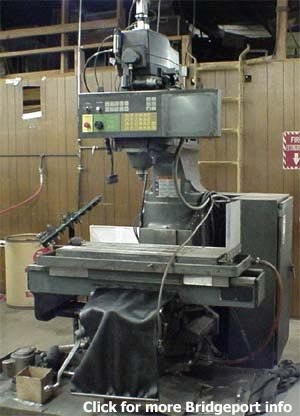 This usually requires the head or the spindle cartridge be removed from the machine and shipped to a spindle rebuilding shop. Cost for this can be as little as a couple hundred bucks to thousands depending on your machine. It is interesting to note that often high quality ground screws are found on the old machines, (an expensive option on modern machines). Also, just as important as a good quality ballscrews are the ballscrew support bearings. Older NC machines often used the highest quality matched set angular contact support bearings. Click here to receive more information and a retrofit quote for your machine.